Psychic meditation is quite simply a form of meditation that seeks to support you in accessing your natural psychic and intuitive senses. Psychic Meditation can be beneficial for a couple of purposes. 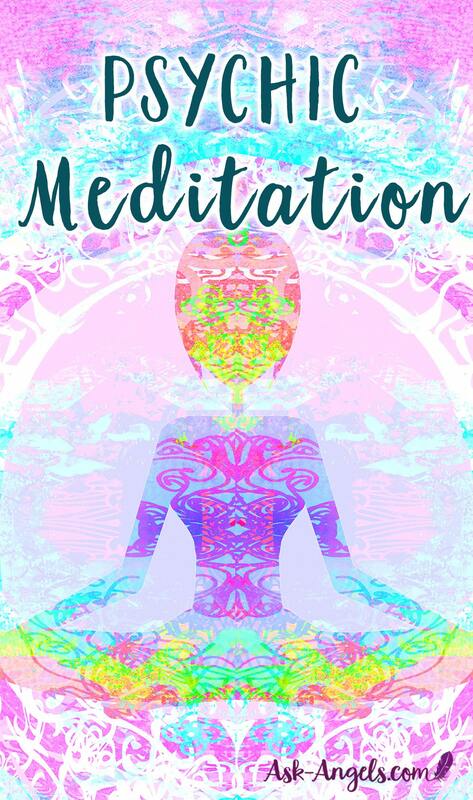 Firstly, meditation is one of the best ways to develop your psychic abilities. By learning to quiet your logical mind you can begin tuning into your higher consciousness and psychic awareness. When learning to open psychically, some form of meditation is a must in your training process. Second, if you're already in touch with your psychic gifts and abilities, a psychic meditation is the perfect tool to use before tuning into something psychically. Out of all of the skilled psychic readers and healers I know, each uses some sort of meditation, or set up process before completing a reading. The purpose of the psychic meditation, in this case, is to energetically center, focus, quiet the mind and enter inward to clearly access your psychic gifts. Meditation isn't something you use to become psychic and then move beyond it. Rather, a psychic meditation it is a valuable tool in the tool belt of any intuitive, psychic, or healer who wishes to clearly bring through information, light, and healing from beyond the physical. Learning and mastering psychic meditation will help you to get into the state of mind which is most receptive to accessing intuition and experiencing through your psychic senses, time and time again. By quieting your mind in meditation, and focusing within, you're able to access a higher state of consciousness. From an inward focused perspective, you're able to lift your vibration and access information, guidance, and healing from the realms of spirit. Psychic Meditation may sound complicated or complex, but really even in its simplest form, it can be quite effective. 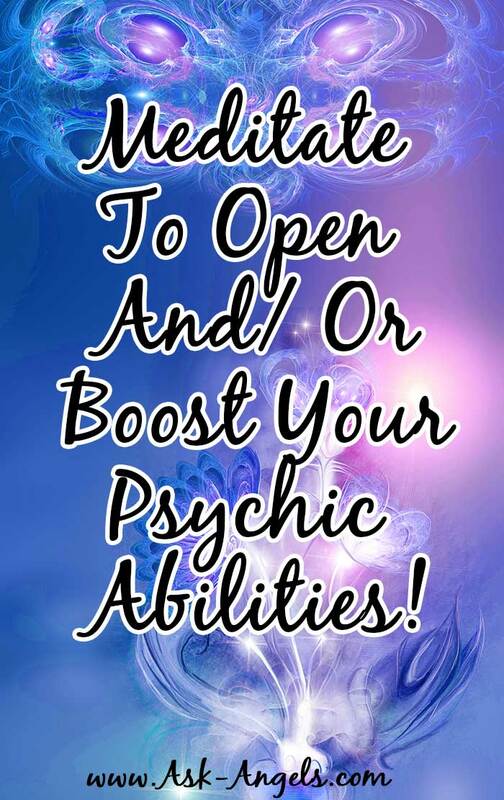 For more insight into developing and understanding psychic abilities… Click here! Find a comfortable and quiet location, where you won't be disturbed for about 10-15 minutes. Make sure it's a place where you feel safe, peaceful, and able to go within, relax and let go. Sit in an upright, and yet relaxed position, and close your eyes. Focus on your breath. Imagine that white light is all around you, flowing in direct from the Divine to protect and uplift your energy, and to set the space for your psychic meditation. Breathe in the white light, and as you exhale, let go. Release stress, doubt, tension, and worry on your exhale, and with each breath you take, consciously relax more and more deeply. Let go of any thoughts as they appear, and just focus on your breath, and on the white light which is all around you. 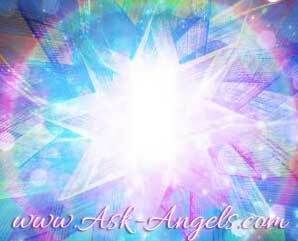 When you're in a relaxed and present state, imagine you're calling in your guides and angels. Ask your guides to help you to open to receive the psychic information which will most serve, while simultaneously releasing any lower vibrational energies into the light… According to Divine Will, for the highest and greatest good. Imagine you're opening up to the Divine light which is all around you, and opening up your psychic senses to receive information from your guides and angels. However you visualize this is fine. You may see a flower opening before you, a white flame brightly shining, or you can simply imagine you're opening the doors of your heart and allowing the light of the Divine to flow through you. Breathe, as you just sit and experience the energy. Let your vibration lift, and just allow yourself to be present and simply be aware. Release thoughts as they appear, not judging or worrying that you have them, but rather just becoming aware of thought, and letting it go. Return your focus to your breath, and to being completely present here and now. Breathe in the light, and notice any physical or emotional sensations you feel. Notice any images appearing in your minds eye. Be aware of any emotions which are present, and notice any words which you hear, or which are impressed upon your consciousness. Is there something which you simply seem to know? Be aware… Release judgement. Let it all be OK.
Be sure you write down your impressions when you are coming out of your meditation, as they may quickly slip away from your memory as you return to your more logical mind. Journaling is also a great way to track your progress. As you begin to write your impressions, further insight may just seem to want to pour out of you. Write it down, and if it's there, let the guidance flow! Remember not to judge, just write down any subtle impressions you received, and even if you didn't seem to get anything, your focused psychic meditation served you in opening, and increasing your clarity and strength of your psychic abilities. When you're ready to close your psychic meditation, take a few moments to breathe and once again center your energy. Feel your life force energy present within your physical body. Wiggle your fingers and toes… And then imagine your energy flowing down, grounding to the Earth, anchoring you in your physical body, to Earth, and to All That Is. Grounding will help you to claim any benefits you opened to in your meditation, and to let go of the dreamy, flighty state you lifted into. Thank your guides and angels, and thank yourself for taking the time to tune in. With practice, persistence, and done on a regular basis, psychic meditation can have a huge impact on your awakening, and really on all areas of your life. Psychic meditation does take focus and commitment, but it can also be really fun! When you master psychic meditation, you'll see and experience the benefits of linking with your inner psychic senses. Need a boost? Ask for help! Your guides and angels are always on hand! Journey through the Elements to Awaken Your Psychic Senses which you can access for free by clicking here! Could you do this meditation as a guided meditation? Can’t wait to try it. Spirit honors your free will, but yes, you could absolutely receive downloads and insight into inventions. sending all my love to everyone I know who have gone far too soon. Thanks for sharing this! I’m psyched to try it out!